You remember Cyanogen OS right? It was an open-source alternative to Android that offered additional features that the stock operating system lacked. However, after becoming popular with Android power-users and seeing itself installed as the default operating system on the OnePlus One and a couple of WileyFox handsets, the OS was folded and forked into the LineageOS project in late 2016. Now Cyanogen Inc’s former CEO has claimed that at one point Nintendo approached the company to create an OS for ‘a certain portable’. McMaster didn’t go into detail about why he was so against working with the company (and nor does he specifically say the portable was the Nintendo Switch), but a later tweet suggests that it had something to do with the company’s unwillingness to develop a piece of hardware that also worked as a phone. These tweets have now been deleted, leaving a single tweet in praise of Nintendo’s latest piece of hardware. 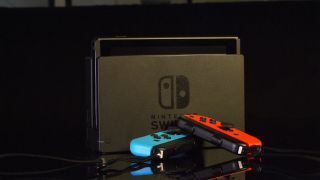 It’s hard to think that Nintendo’s choice of OS would have had much of an impact on the overall user experience of the console, but it’s interesting to see that Nintendo was open to working with a company like Cyanogen. Now that the console is out in the wild, we’ve learnt that its browser is based on WebKit, but aside from that we’ve had no further clues as to its operating system. The console uses the same Nvidia Tegra X1 processor that the GPU company uses in its Nvidia Shield TV set-top box, a device that runs on the Android TV operating system. Check out our full review of the Nintendo Switch.